After a two week break we are back for round 3 of the 2016 Formula 1 championship, hosted by China. This fast circuit should play into the hands of Mercedes, and specifically Nico Rosberg, following the news that Hamilton has a five-place grid penalty for a gearbox change. It would that, unless Rosberg suffers gremlins of his own, or makes a mistake, he will extend his championship lead here. Turn 1 and turn 2 are virtually the same corner, a long looping right-hander that leads into a tight left-hander, followed by a couple of dinky curves before turn 6, a hairpin. 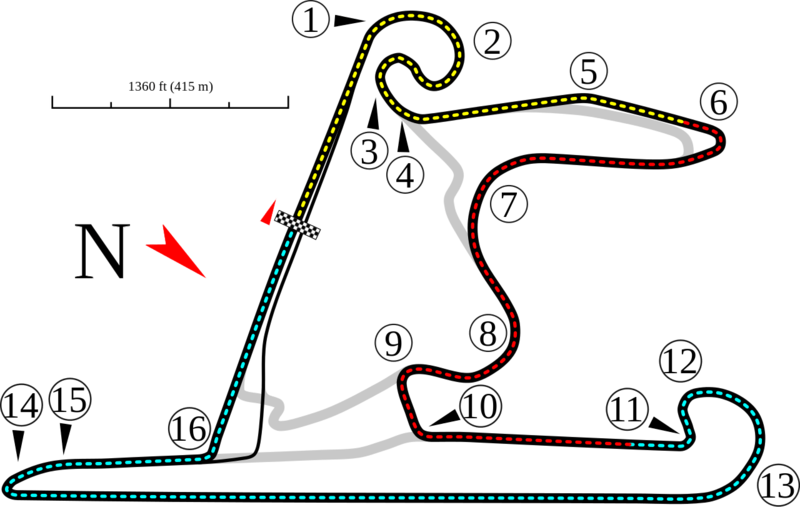 Turns 7 and 8 are not flat out curves, but can be taken reasonably quickly if you’re brave, and turn 9 is not as slow as it looks either. Turn 10 can be taken pretty fast, though turn 11 snaps at you harder than you might realise if you’re not prepared, whilst turns 12 and 13 are similar to turns 1 and 2. The long back straight is an opportunity for powerful engines to shine, but judging the braking is crucial going into a tight, ferocious hairpin at the end. Turn 16 is the final bend before we rinse and repeat the whole process. Williams will be hoping for a better account of themselves than they’ve given so far – they sport the same Mercedes power as the works team, but haven’t been able to make that work for them (at least, not yet). Ferrari will want to start delivering on the suggestion they can pester Mercedes, but the fast nature of China is such that this may not be a good opportunity for them – at the very least, they’ll be hoping reliability issues don’t bite at them the way they did in the previous two races. Hamilton should be able (as long as he avoids first lap mishaps this time) to surge to at least second place, given the power of the car. However, the best he can hope for is to start from sixth (assuming he qualifies on pole), and he has not fared so well when swamped. This might be the most straight forward win of the season for Rosberg.